Join us December 27th for an artist reception from 5-8pm! Gallery Wild is excited to welcome photographer Ashleigh Scully for a special show this winter! 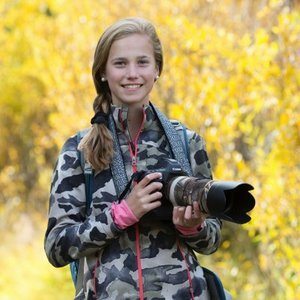 Ashleigh is an accomplished young nature photographer, with a keen interest in bringing awareness to wildlife conservation. Based in New Jersey, Ashleigh has traveled all over the country to capture her images. The Greater Yellowstone Ecosystem is among one of her favorite places to photograph wildlife. Ashleigh donates many of her images to several notable nature and wildlife preservation groups, and has given presentations on a variety of conservation topics. Ashleigh’s photography focus is to produce images which give a glimpse into the emotions of our country’s native fauna, exposing individual and family wildlife behaviors that we wouldn’t otherwise have the opportunity to see . Her favorite subjects include red fox, brown and grizzly bear, and all species of North American owls. Ashleigh hopes that her images will give the viewer a sense of empathy and respect for all creatures.